FORMER Paralympian Jessica Smith knows how poisonousness society’s ideals of “beauty” and “normal” can be. The Australian swimming champ was born without a left arm below the elbow and suffered third-degree burns to 15 per cent of her body in an accident when she was a toddler. As a teenager, the only place she felt confident and positive about her body was in the pool. She developed an eating disorder and spiralled into depression so deep she was hospitalised at the peak of her career just after returning to Australia from the 2004 Athens Paralympics. Now she will do anything she can to prevent her daughter – and every other child – from facing those same unrealistic expectations. A finalist in the 2015 Pride of Australia Medals, Jessica has become an advocate for positive body image, speaking at schools across Australia. She has also written a children’s book, Little Miss Jessica Goes to School, telling her own story to help kids understand that it’s perfectly OK to be different. “Now that I’m pregnant with my first child, writing this book became even more important because I started to realise the messages meant so much more,” she said. Voting is now open for The Sunday Times and PerthNow Pride of Australia People’s Choice Medal. Voting closes at midnight on Sunday, September 6. The winner will be announced at a ceremony on September 12 and will receive $5000. Originally published on Perth Now. I WANT you to meet an amazing woman who just recently came into my life. She is quietly spoken but oozes an air of confidence, a sweet blonde bombshell who is about to give birth to her first child. She mentors youth and recently published a book. Oh, and how could I forget — she is a Paralympian and has just been announced as a WA finalist for a Pride of Australia medal. What a woman huh? I bet by now you’re dying to meet her. Her name is Jessica Smith. I’m a big fan. For years, she has been spreading a beautiful and positive message and I would like to share it with you. Her mantra that she swears by is “It’s OK to be different.” It’s simple and I reckon we could all use a little ‘Jess’ in our lives. I’ve been lucky enough to interview Jess in the past through work and every time I walk away feeling inspired, confident and grateful to have met her. I sat down with her again last week. She’s had a rollercoaster of a journey so far. Jess was born missing her hand and left arm, then at just 18 months old, she suffered third degree burns to 15 per cent of her body. At 14, Jess was diagnosed with depression, anorexia and bulimia, a battle that she fought for about a decade, which was when she hit rock bottom. During her darkest years, Jess struggled with negative body image and was on the quest to find the perfect body. Her strength and determination that I have seen through her telling her story is unbelievably impressive. Next week, The Butterfly Foundation kicks off “Love Your Body Week” from September 7-11 and they will be celebrating body confidence. This campaign coincides with Body Image and Eating Disorder Awareness Week and aims to promote body confidence in all Australians by celebrating body diversity. For a long time, Jess has been a huge advocate and has spent years sharing her story, speaking and mentoring young people. It was during this time that she realised the message she was trying to convey could be spread much earlier through education. “My target audience for the past five years has been youth, in particular young females,” she said. So this year Jess released a book for children. “When I asked myself what it was that I really wanted to achieve by writing a book, the answer was simple — prevention,” she said. It was Jess’ childhood and the lack of diversity in characters from books that she’d read as a child that really spurred her on. Jessica Smith reads her book, Little Miss Jessica Goes To School, to primary school children. This is how her book, Little Miss Jessica Goes to School, came about. I’ve been lucky enough to read it. It’s easy for the kids and the illustrations are bloody brilliant. They were drawn by Perth artist Joel Blackley. The book isn’t just about Jess going to school with a missing arm, it’s about her entire journey as a young girl and her discovering that we’re all different. Along the way, Jess discovers other characters who appear different to her and together they go on a journey, learning to appreciate and respect one another despite their differences. “The book tackles a range of issues such as self-esteem, disability, body image, friendship, acceptance, tolerance and social connection, and ultimately delivers a fundamental message for younger generations about self-acceptance — a message that reminds us all that being different is OK,” she said. This year has been massive for Jess, personally and professionally. She got married to her Prince Charming, became a published author and will soon give birth to a beautiful baby girl. 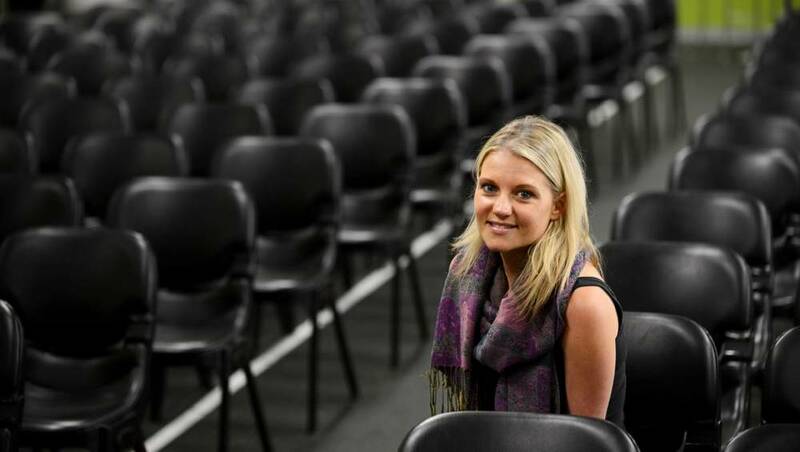 Paralympian Jessica Smith was born without her left hand and forearm, suffered a serious burns injury as a small child, developed anorexia in her teens, and is now using her experiences to help others. "I'm probably someone who has seen and done quite a lot in a relatively short amount of time," Ms Smith, now aged 30, told Geoff Hutchison on 720 ABC Perth. Born in country New South Wales, her parents were advised to get her a prosthetic limb as soon as possible. But when she was just 18 months old, Ms Smith was reaching for some biscuits on the kitchen counter and knocked over a kettle of boiling water with her prosthetic, suffering third-degree burns to 15 per cent of her body. "At that age it was hard to get used to this new attachment," she recalled. "In those days they were quite hideous contraptions, not like the technology we have today. "I was rushed to Sydney Children's Hospital; I had blood transfusions and skin grafts and the whole recovery process went on for years." Her missing arm and burns injuries left her feeling different from a young age, and she recalled many times being told what she couldn't do by adults. But Ms Smith's life changed when she took up swimming. "At my first school swimming competition when I was 10, I remember beating all the boys and girls who had two hands," she said. "Everyone, even me, was surprised and for the first time there was this sense of exhilaration and self-confidence that I hadn't had before." Ms Smith became serious about swimming and in 2000, aged just 14, she competed in trials for the 2000 Paralympic Games in Sydney. Despite being one of the best 100-metre butterfly swimmers in the world, she missed out on selection for the team by 1/100th of a second. "I went back to being ordinary Jess, with one arm and a burns injury. "I felt like everything I had been working towards came crashing down. If I didn't have swimming, who was I?" She turned away from the pool and began to focus on physical perfection through dieting, a process that quickly spiralled to suffering from anorexia and bulimia nervosa. "Because I perceived myself to be less than ordinary, I convinced myself that if I could be perfect in every other way, then people would look past the imperfections," she said. Ms Smith returned to swimming and was selected for the 2004 Paralympics in Athens but when she returned without winning a medal her depression quickly returned. "Being there and just being a contender wasn't what I had trained to do," she recalled. "I wanted to be that Paralympian that changed the way people thought about disability. "When Athens came along and I didn't swim as well as I should have I just wanted to curl up and die, because I was embarrassed and I didn't want pity." The turning point came when she entered rehab for her eating disorder. "I started to understand that I had developed an eating disorder as a coping mechanism for what had happened in my childhood," she said. Following rehab, she completed a degree in public health, moved to Perth and began working at the Cancer Council. Then she found herself being asked to speak about her life. "It was so nerve wracking and I couldn't really understand why people would want to listen to what I had to say," she said of the first speeches she gave. Ms Smith has since gone on to become a positive body image advocate for the Butterfly Foundation, a national charity representing those affected by eating disorders and negative body image. She has also written a children's book titled Little Miss Jessica Goes To School. "It's based on me and it's about a little girl with one hand on her first day of school and what she experiences through being different," she said. "It was a way that I could get a complex message out in a simple way, out to a younger audience." For Ms Smith, the tough times now seem far behind her, and she is expecting her first child later this year. "I am so much more content and at ease and so far away from where I used to be," she said. Hear Jessica Smith's full interview with 720 ABC Perth's Geoff Hutchison on Soundcloud. This week in Australia it is Body Image and Eating Disorder Awareness Week. One Million Australians are currently living with these deadly psychiatric illnesses. Something that most people do not know is that Eating Disorders have the highest mortality rate of any psychiatric disorder. After battling with negative body image and eating disorders for most of my life I know the trauma and the trail of destruction that my behaviour and actions has had not only on myself but also my family. My family have been nothing but supportive throughout my battle, but only recently was I made aware just how damaging my Eating Disorder was on them. My brother wrote about his experience of having a sister with an eating disorder and it literally broke my heart into a million pieces. I wanted to share with you all his own words, because this is a family disease! An eating disorder is no one's fault ... but we all have a responsibility in the recovery process. "It's rare to hear a blokes perspective on the matter but in light of this week I decided to share a few honest words on social media and the reaction has been excellent. This one if for all the brothers, sisters, parents, partners, boyfriends, girlfriends, cousins, aunties, uncles, grandparents and friends. We may not be the ones suffering from anorexia, bulimia or binge eating but that certainly doesn't mean we're not infected by these deadly diseases. It might be our loved ones who are diagnosed but it is us who cop the brunt and endure the suffering just as much as they do. We live with it everyday; It's in our face, it's on our minds and it's under our skin. Our desperate words of encouragement to put an end to the meaningless damage always seem to fall on deaf ears. However, I assure you that as difficult as it might be and as under appreciated as you may feel your unconditional love and relentless support doesn't go unnoticed. I've seen sides of my sister, Jessica, that would shock the devil to his core. For years I was her emotional and physical punching bag. She abused me just as much as she abused herself. She lied to me on countless occasions and did so without a conscience. Jessica's eating disorder was ridiculously consuming that it ruined friendships and relationships all around her. She was spiralling out of control and at times I felt like I was being dragged into the vortex. She pushed me to breaking point nearly everyday but I always knew in the back of my mind that she would eventually come good. I could see the light at the end of the tunnel; I just needed her to see it as well. And looking at where she is today and how far she's come is a true testament to my belief. As difficult as it was growing up with a sister suffering from an Eating Disorder amongst many other issues, I stuck by her and I never left her corner. I'm extremely proud to see the positive impact she's having on the world today. Her talks, workshops, videos, photos and her #JoinTheRevolution campaign has touched the lives of many across the globe. I can only hope that her story continues to inspire others so they can begin their own road to recovery. With that being said, I'd like to encourage anyone who is living with an ED or knows somebody suffering from negative body image to JOIN THE REVOLUTION. You don't have to name names or fill in a survey or donate money, simply participate by posting a picture of yourself with this Join The Revolution sign. 1 MILLION Australians are victim to an eating disorder so I expect to see a few photos! It's not hard.. you can print the sign, create your own, use your smartphone, set the image as a screensaver or whatever you can come up with. It's all about AWARENESS. Issues surrounding body image is serious business."